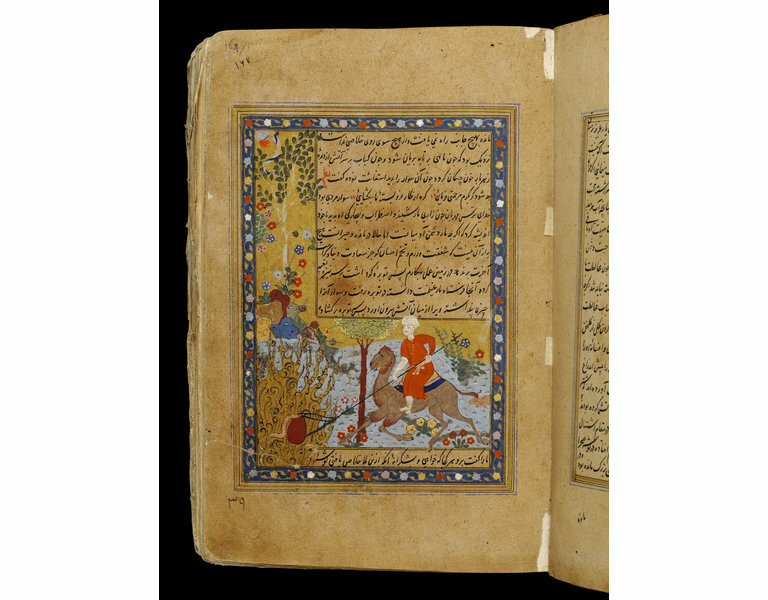 Manuscript folio recto (p. 264), paint and ink on paper, Anvar-i Suhayli Chapter III, Story III, the camel-driver rescues the venomous serpent from the desert fire. 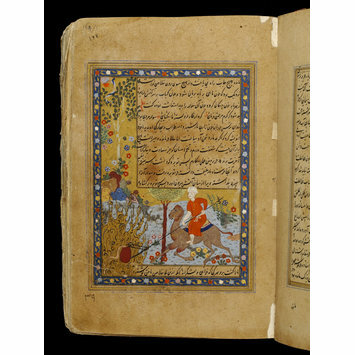 Husayn Va'iz al-Kashifi was the author of the Persian version of the Anvar-i Suhayli, written in the 15th century. 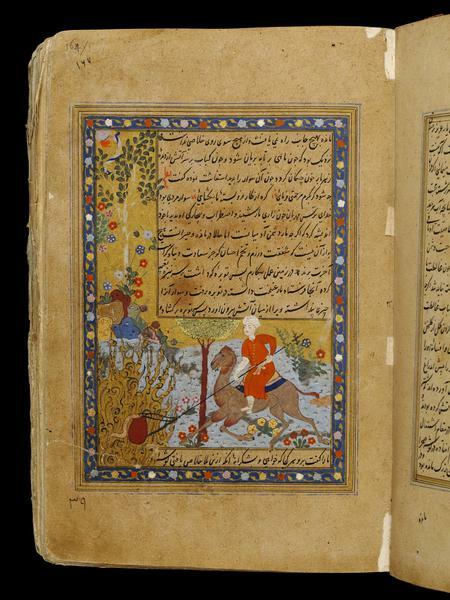 Often called 'The Lights of Canopus' in English, these fables were originally composed in India and at some point were written in Sanskrit.